Investing > Why Invest With Us? Investing means conserving your principal and growing your money over time. When you take chances with stocks and mutual funds you risk increased volatility and losing not only any gains you may have made, but also your principal. That means putting your hard-earned retirement and future comfort in jeopardy. Fisgard puts the security of your principal first. That’s why we invest only in quality mortgages secured by valuable Canadian real estate property. Our goal is to invest in mortgages that provide our investors with income, steady growth, real estate security and reasonable returns. How do I invest with Fisgard? You can invest cash and Registered Plan funds such as the RRSP, TFSA or RRIF. You can also transfer Registered funds from another institution to Fisgard. Just call, and we’ll do it for you. Compound interest is the most powerful investment tool available to the prudent patient investor. Perhaps that’s why Albert Einstein called compound interest the 8TH WONDER OF THE WORLD. Fisgard investors achieve faster growth simply by reinvesting their dividends. Compound interest increases your investment exponentially without any work. Unlike most banks that compound your interest once a year, Fisgard compounds your interest four times a year! Look at how your investment can grow through compound interest. Your investment can achieve amazing growth with the power of compound interest. In our example an investment of $15,000 over 30 years can earn $33,750 in simple interest but can earn $126,323 with compound interest, a whopping $92,573 more than simple interest! * Calculation is based on a 7.5% return for illustration purposes only. 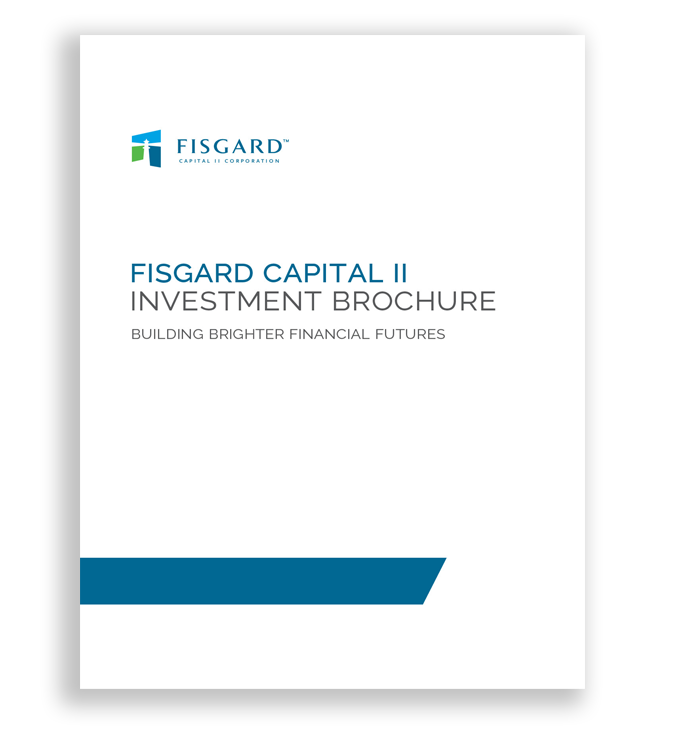 Would you like to know more about Fisgard Capital II Corporation? Contact us today!